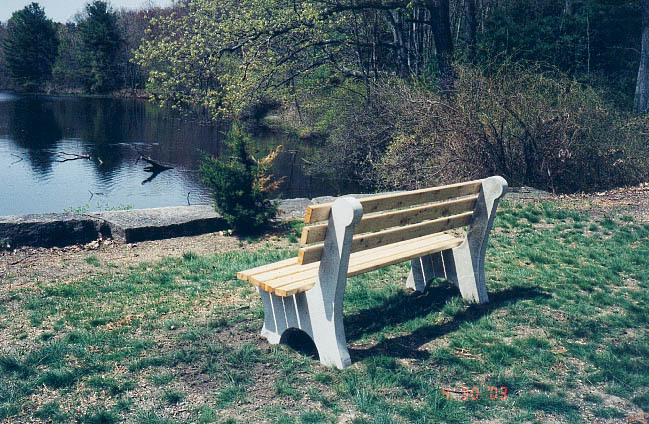 Park bench ends have inserts cast into the concrete and are supplied with phillips truss head zinc plated bolts for attaching 2x4 seating material. 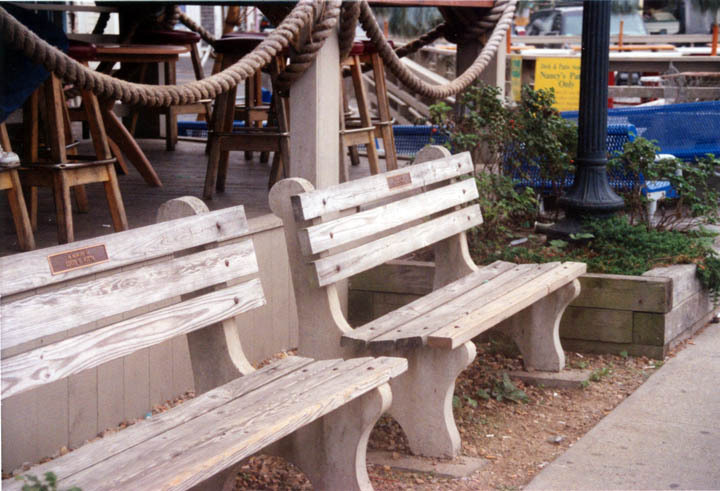 Complete benches are assembled 6 ft. long and with an extra leg, benches can be up to 12 ft. in length. 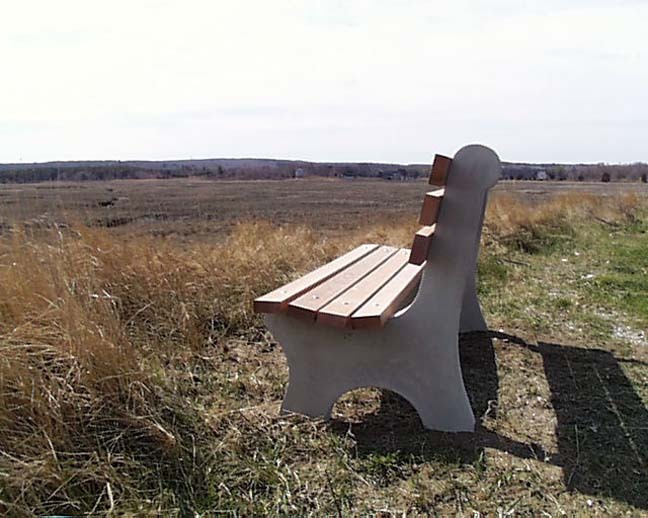 Bench ends can be purchased separately. 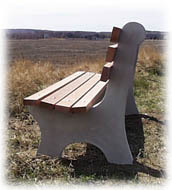 Pressure treated pine or white cedar can be used for seats. 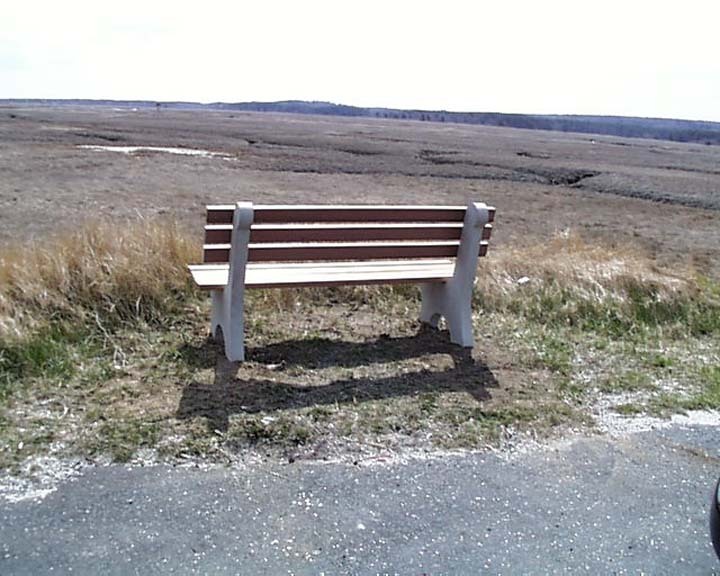 overlooking salt marshes of Sandwich, Massachusetts. Oak Bluffs, Martha's Vineyard, Mass.